For Tarangus 1/48 scale SAAB A32 Lansen. A modified SAAB A32 Lansen airframe was used for testing the radar system developed for SAAB 37 Viggen. 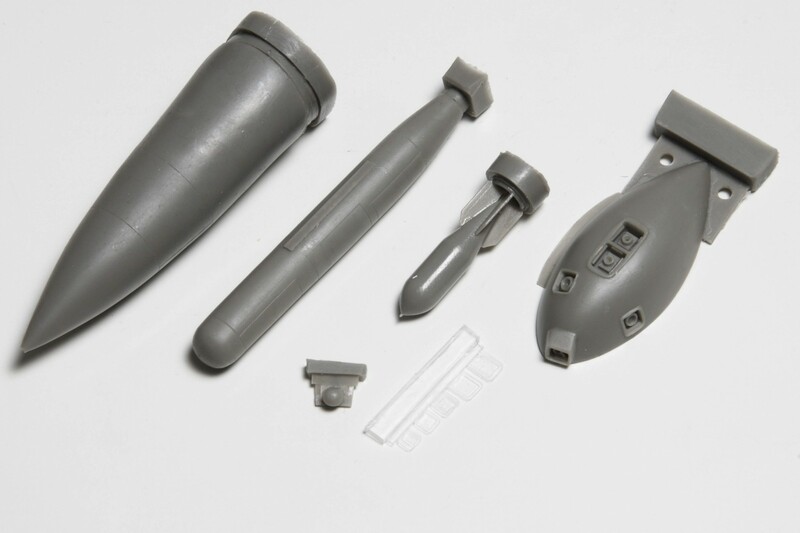 This set contains resin parts for the nose, a modified belly tank, the electronics pod carried under the left wing, a 250 kg dummy bomb carried as a counterwight for the pod, a camera unit carried on the top of the wind shield and finally clear resin parts to cover the camera openings on the belly tank. Please be aware that this aircraft was flown in many different configurations. There is a lack of really good photos so some minor details are made from speculation, using the few existing photos as a reference.